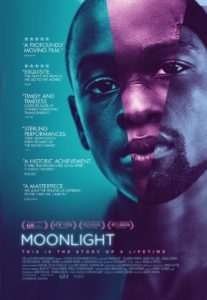 Join CLGS and local faith leaders for a special free screening of the renowned award-winning film, Moonlight on Tuesday February 21st at 7:00 pm at Shattuck Landmark Cinemas. Following the screening, a panel of black faith leaders, educators and activists will lead a dynamic discussion about the themes of the film. Written and directed by Barry Jenkins, based on the play In Moonlight Black Boys Look Blue by Tarell Alvin McCraney, Moonlight has been awarded the 2016 Golden Globe® for Best Picture and nominated for 8 Academy Awards. A timeless story of human connection and self-discovery, Moonlight chronicles the life of a young black man from childhood to adulthood as he struggles to find his place in the world while growing up in a rough neighborhood of Miami. At once a vital portrait of contemporary African American life and an intensely personal and poetic meditation on identity, family, friendship, and love, Moonlight is a groundbreaking piece of cinema that reverberates with deep compassion and universal truths. Anchored by extraordinary performances from a tremendous ensemble cast, Barry Jenkins’s staggering, singular vision is profoundly moving in its portrayal of the moments, people, and unknowable forces that shape our lives and make us who we are.